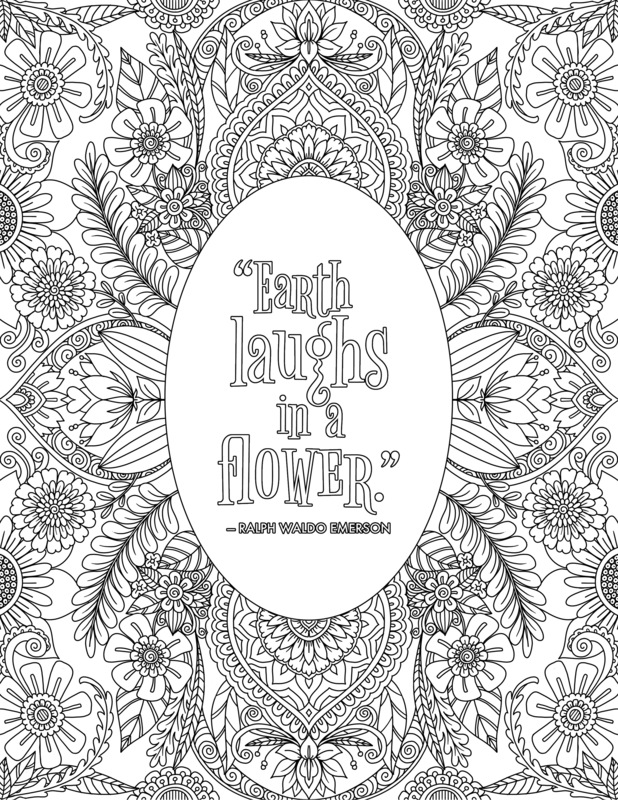 This free coloring page celebrates the beauty of nature with a quote by Ralph Waldo Emerson that reads, “Earth laughs in a flower.” The text is surrounded by whimsical flowers perfect with lots of detail. Choose the file type you’d like to download below. Would you like to download more free coloring pages from me? Visit: Free Coloring Pages for Download to see my latest freebies.